I want to remind everyone (as I always do when talking about cars) how crucial it is to say “NO” to dealer prep when buying a new car. Or a used car for that matter, although with most used cars, an additional detail may not make it worse as used cars are in pretty bad shape paint wise already. To give you an example, this is the instruction I gave the salesman when ordering our new car last week. 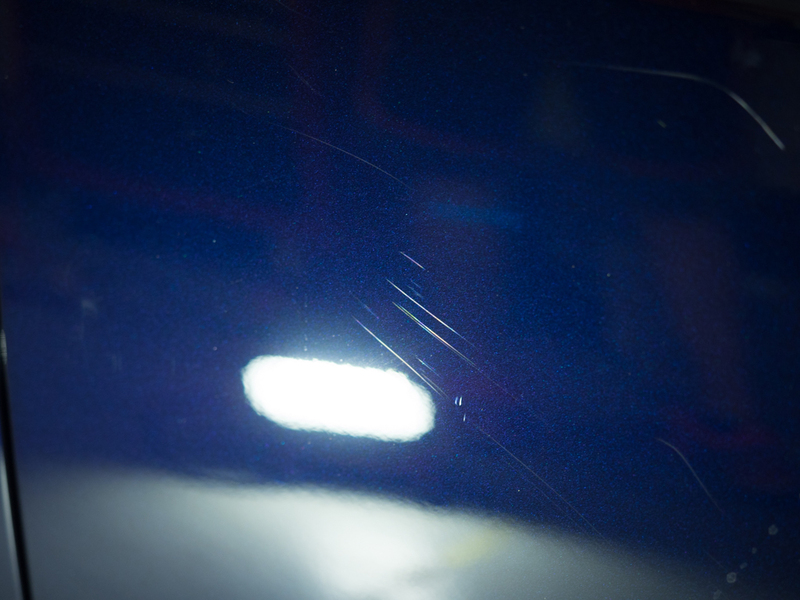 1 – leave protective plastic on the vehicle 2 – do not touch, wipe, or wash any part of the paint or wheels 3 – call me as soon as the vehicle is off the delivery truck 4 – if these rules are not followed, we are not buying the car. 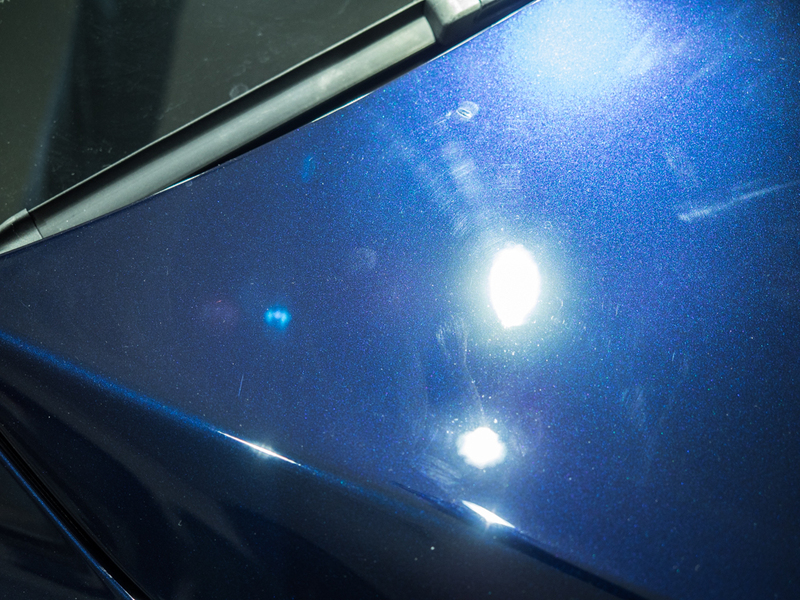 (As soon as I drive the car home, it will get Opti Coat Pro applied to all exterior surfaces) The reasoning for these harsh requests is that in my 10+ years of detailing brand new cars, I can tell you, that most dealerships will butcher the paint with that initial “wash/detail”. 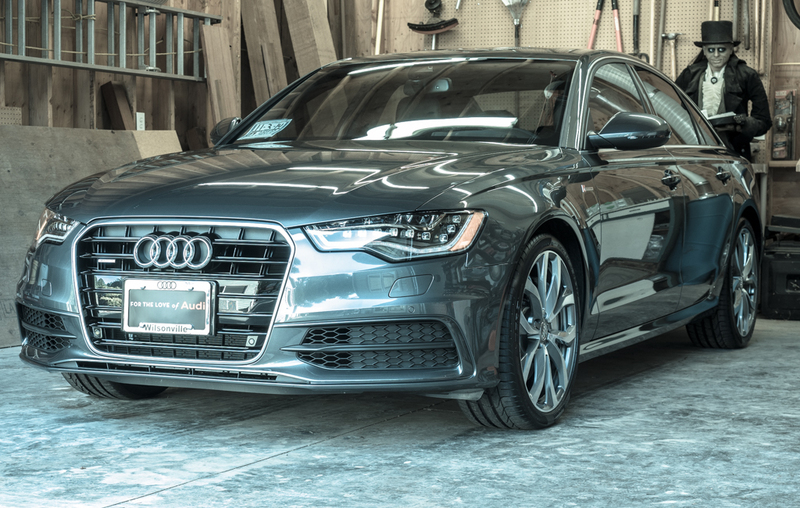 Not every time, as I just detailed and Opti Coated a brand new 2015 Audi A6 in Dakota gray, where the paint was in very good shape, only a few RIDS (random isolated deep scratches) needed to be removed and some water spots. 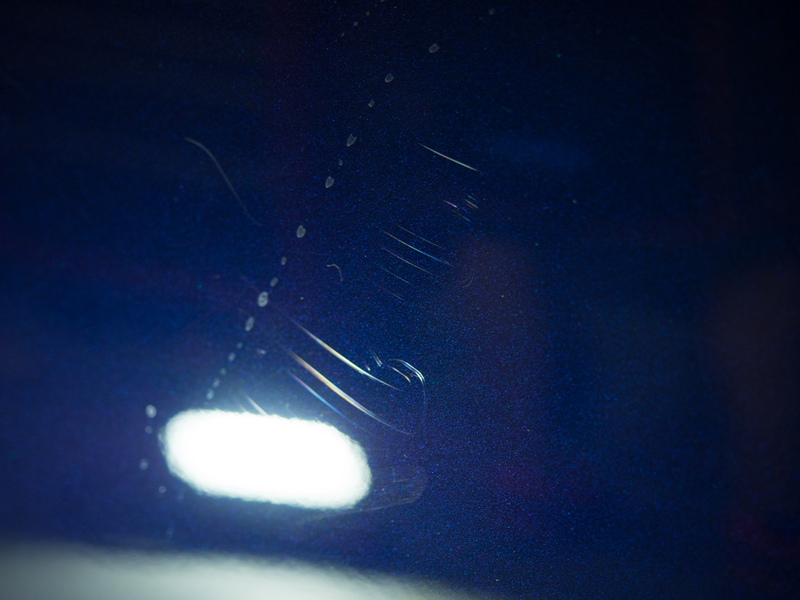 However, the B pillars are painted Jet Black and those were scratched up pretty badly. On the other hand, this Brand new Tesla was is terrible shape, even without a dealer prep. After 19 man hours the paint still wasn’t perfect. Somehow the transport company managed to damage most of the panels. 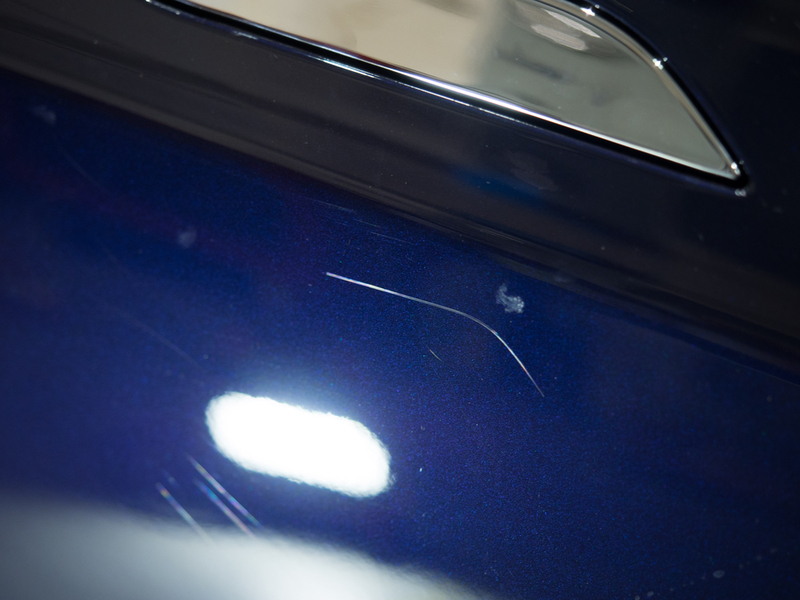 The below picture is showing the damage that was caused by the factory detailer. Looks like someone was in a big hurry and skipped a couple of important polishing steps. As you can see, even if you do everything right on your end – stuff just happens. At least it isn’t the norm and most cars off the delivery truck are just fine. This Tesla had barely any imperfections. 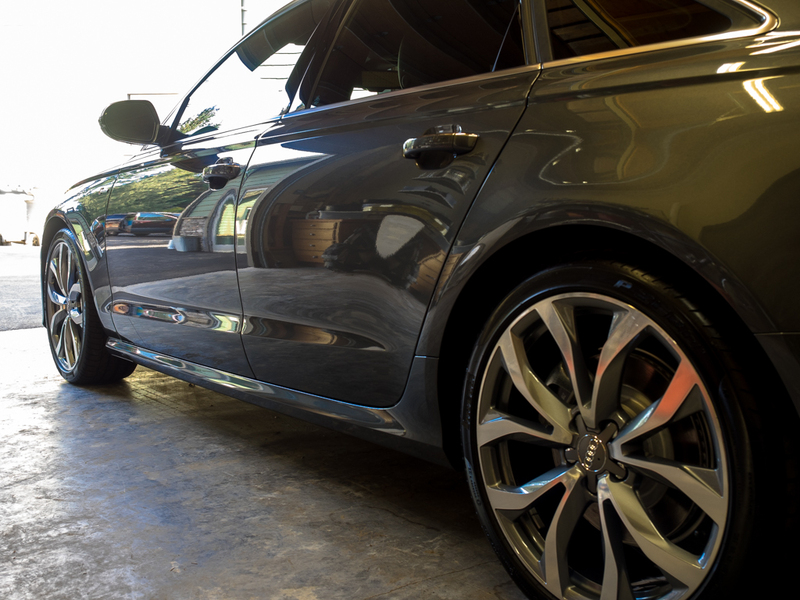 So be prepared, educate yourself about automotive paint (they are not as durable as people think) and get your car COATED as soon as you have your car. < Remembering those who served on memorial day.